Albondigón (Latino-Style Meatloaf) is a flavorful, juicy meatloaf, like none you’ve tried before. 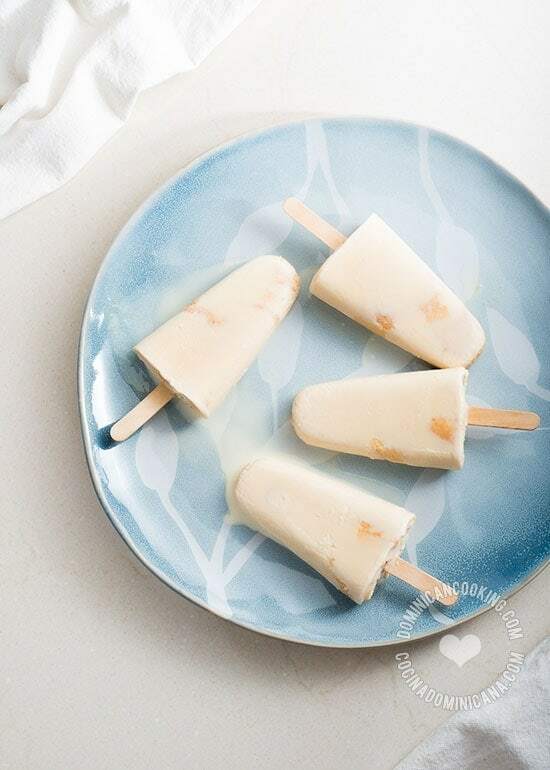 This is a recipe that is worth trying ASAP. Meatloaf is truly a universal dish, and Albondigón (Latino-Style Meatloaf) though similar from country to country within the Spanish-speaking world, also has many variations. Unlike meatloaf in popular American culture, our albondigón is considered a treat, instead of a poor man’s dish. I have found inspiration in the many variations I’ve tried in the Dominican Republic, as well as from the many other versions I’ve encountered elsewhere. While doing some research on the subject to make sure I am not writing nonsense, I have found myself astonished to just how many countries have a national meatloaf version. Albondigón is not a universal name in Latino countries. It is also known as Pastel de Carne (Meat Cake), Molde de Carne (Meat Loaf), Rollo de Carne (Meat Roll), Asado Alemán (German Roast) in Chile, Pulpeta in Cuba. Different countries will have different versions, and even from family to family, it will vary. Many Latin countries add whole boiled eggs in the middle, some add chopped boiled eggs to the meat. Different vegetables, herbs, and seasonings are also part of the preparation. Puerto Rican Albondigón, for example, has Worcestershire sauce added to it. The Colombian version is seasoned, amongst many other flavors, with cumin and clove. The Dominican version, such as it is, is closer to the Puerto Rican one, but this is a dish that is not very common in our cuisine, and cooks will add their own touch. For this one, I have combined ideas from all over Latin América, and the mixed bacon comes in place of the chopped ham so common in this dish, and it’s added for flavor and moisture. You can eat this warm (preferable), or chilled and thinly sliced as a cold cut in sandwiches. Amazingly, it tastes better after chilling overnight, with a flavor and texture resembling Dominican “salami”. Albondigón Recipe (Latino-Style Meatloaf): A flavorful, juicy, meatloaf like none you've tried before. No sauce required. 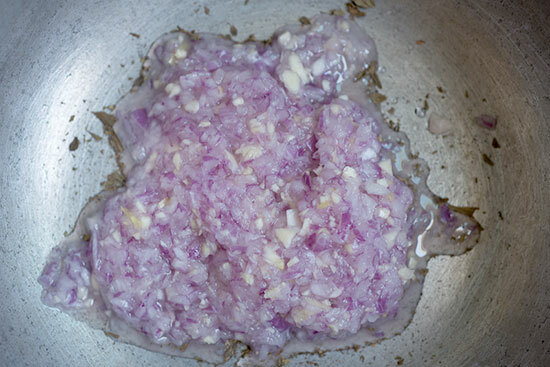 Mince the onion and garlic using the food processor until you obtain a coarse paste (see photo below). Remove from the food processor and mix in salt and oregano. Chop 1/4 lb [113 gr] of bacon and add to the onion mixture. Add the onion mixture and tomato sauce to the minced beef. Knead with your hands to mix thoroughly (remember to wash your hands carefully before and after). Mix in the egg with a spatula, followed by parsley, bell pepper and tomato. Spread the bacon on a medium baking mold. Place the minced beef on top and form an elongated meatball (about 6" long [15 cm]) on top of the bacon. 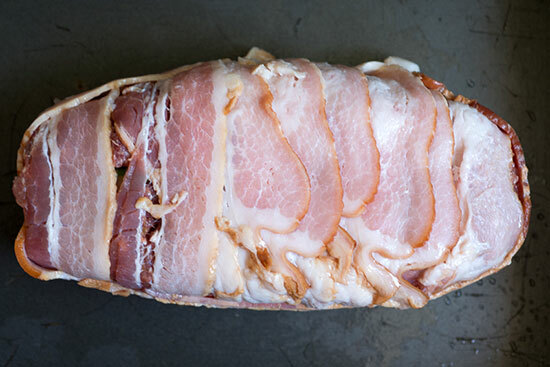 Wrap the meatball with the bacon, making sure the slices of bacon overlap. Cover tightly with aluminium foil and cook in the oven for 25 mins. Remove from the oven and discard the aluminum foil. Increase heat to 450 ºF [230 ºC] and return to the oven. Cook for another ten minutes, or until the bacon turns golden brown. Serve with creamy mashed potatoes sprinkled with parsley, or with yuca and celeriac mash. Looking for more Albondigón (Latino Meatloaf) recipes? Or this Pastel de Carne Venezolano. OMG!! This was so fricking tasty we were fighting for the last slice.